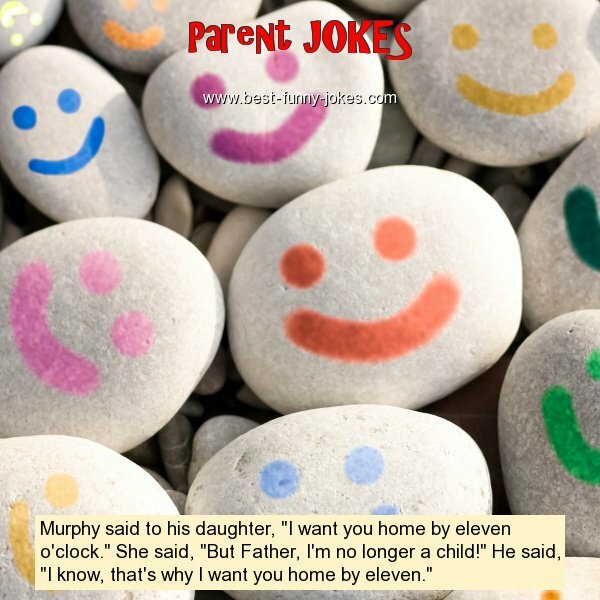 Murphy said to his daughter, "I want you home by eleven o'clock." She said, "But Father, I'm no longer a child!" He said, "I know, that's why I want you home by eleven."